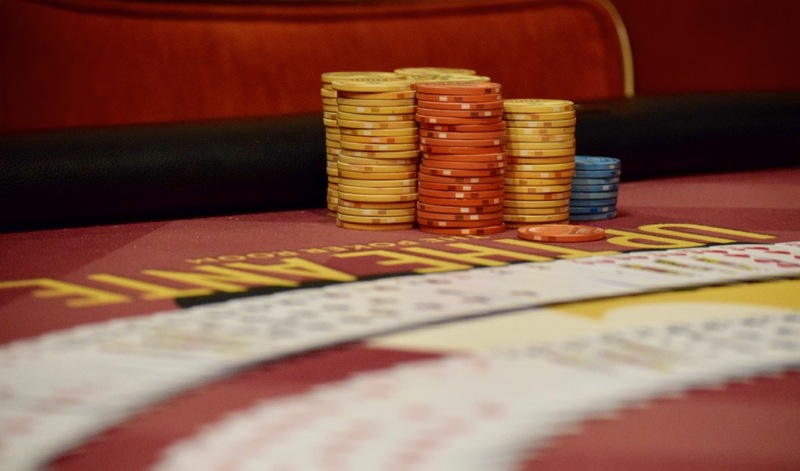 64 players remain in the #TVWSOPCircuit Main Event, hand-for-hand on the money bubble. The New England Patriots trail the Jacksonville Jaguars 20-17 with 4 minutes left in the 4th quarter. Some Main Event players are mucking quickly on the money bubble so they can focus on the football game, while others are grninding hands and trying to chip up on the bubble. Three hands on the bubble, no all-in-and-a-call at any of the seven tables yet.